California uses more water than any other state and each Californian uses an average of a 181 gallons per day!!! Over two-thirds of U.S. estuaries and bays are severely degraded because of nitrogen and phosphorous pollution. 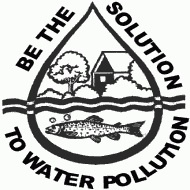 Water quality reports indicate that 45% of U.S. streams, 47 percent of lakes, and 32 percent of bays are polluted. Forty percent of America’s rivers are too polluted for fishing, swimming or aquatic life. The lakes are even worse — over 46% are too polluted for fishing, swimming, or aquatic life. Every year almost 25% of U.S. beaches are closed at least once because of water pollution. Americans use over 2.2 billion pounds of pesticides every year, which eventually washes into our rivers and lakes. Over 73 different kinds of pesticides have been found in U.S. groundwater that eventually ends up in our drinking water – unless it is adequately filtered. The Mississippi River, which drains over 40 percent of the continental U.S., carries an estimated 1.5 million metric tons of nitrogen pollution into the Gulf of Mexico every year. This resulting pollution is the cause of a coastal dead zone the size of Massachusetts every summer. Septic systems are failing all around the country, causing untreated waste materials to flow freely into streams, rivers, and lakes. Over 1.2 trillion gallons of untreated sewage, groundwater, and industrial waste are discharged into U.S. waters annually. The 5-minute daily shower most Americans take uses more water than a typical person in a developing country uses in a whole day. 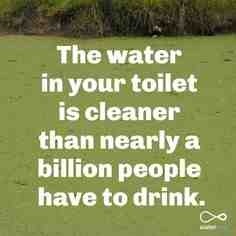 CLEAN WATER IS A MUST: IT’S THE LAW! By Leon O.